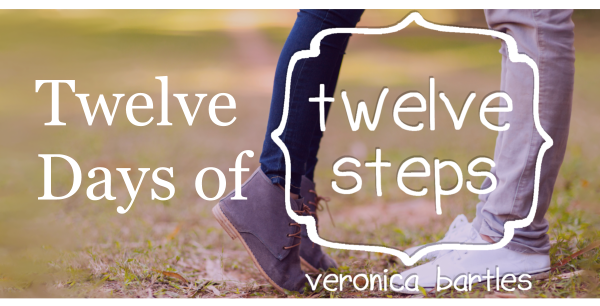 We are now, officially, almost twelve days away from the release of my debut novel, TWELVE STEPS (counting by midnight eastern time)! To celebrate, I’m having a twelve-day countdown celebration, with twelve exclusive teaser graphics (a new one each day), recipes inspired by the book, giveaways, sneak peeks, and more on each of the twelve days leading up to the release. 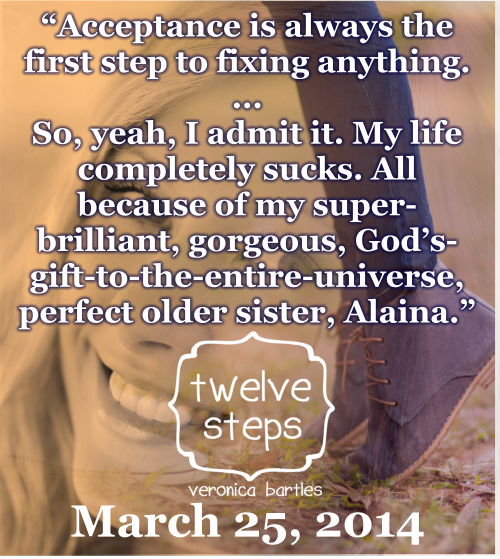 But I’m too excited to wait until tomorrow, so here’s a bonus teaser for you, right now! Be sure to check back tomorrow, and every day until March 25, for more! Day #7: Exclusive reveal: A page from Veronica's teen diary! Day #4: Giveaway!!! Ninja Unicorn "Movie Poster"
Day #3: A Thank You to those who may not know how much they helped with TWELVE STEPS - including my secret high school crush, who inspired my favorite supporting character.